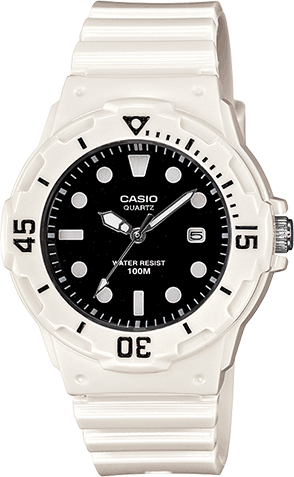 Simple and compact, these dive inspired ladies 3-hand analog timepieces feature 100M water resistance, a bi-directional rotating bezel and date display. 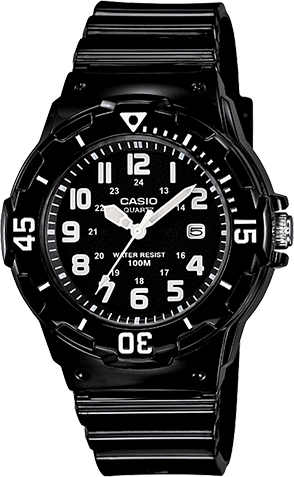 Available with hour numerals or markers. 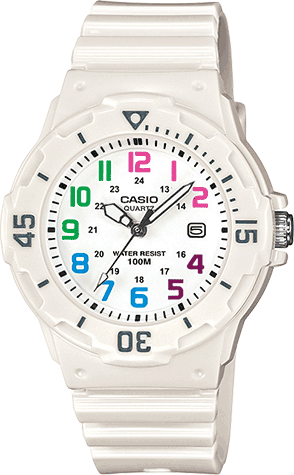 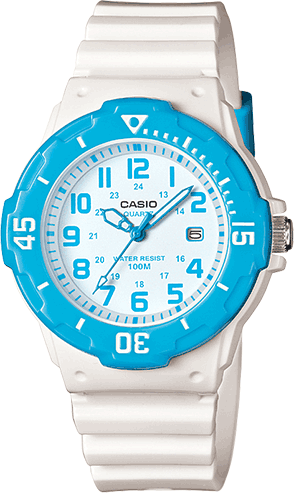 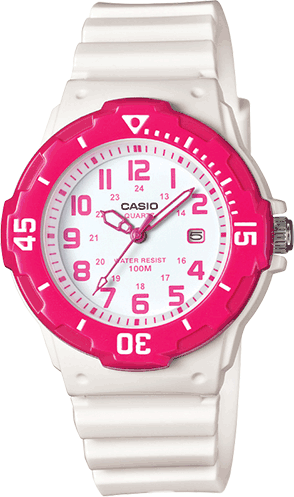 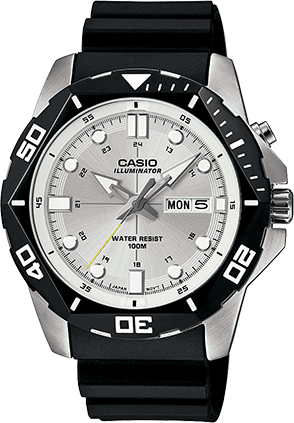 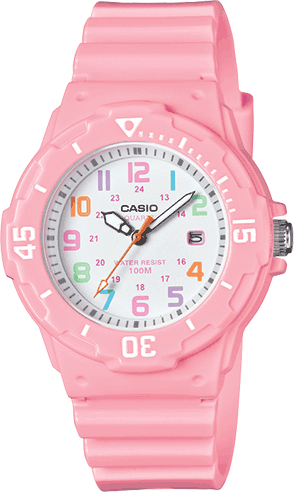 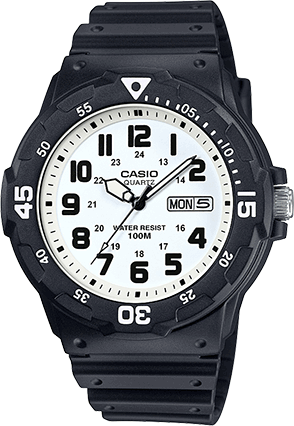 Gloss white resin band analog watch with white face.